Gordon has been providing Financial Advice for over 16 years and before joining the Vision team enjoyed a successful and rewarding career within NatWest, lasting 32 years. After working hard over the past few years Gordon is really pleased and proud to have achieved the prestigious Advanced Diploma with the Chartered Insurance Institute becoming a Chartered Financial Planner. He is passionate about developing and maintaining a relationship with clients based on trust, integrity and regular financial reviews. Financial planning can be complex at times, however Gordon has the ability to make clients feel engaged and comfortable, through explaining things in a clear and concise way. Gordon believes in placing his clients at the centre of everything he does and this is achieved by having the freedom to spend as much time with each client as they need. As a truly Independent Adviser he has the ability to offer ‘whole of market’ advice (meaning not being restricted to a limited range of products or providers) which is fundamental to delivering the right solutions to his clients. He brings a wealth of knowledge and specialises in advising high net worth clients covering areas such as investments, pension planning, protection and inheritance tax planning. He can also help you review existing plans to enable you to meet your financial goals. 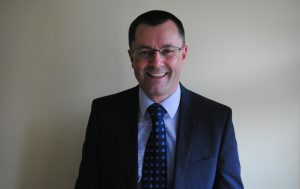 Gordon is married, with two grown up children and enjoys spending time walking and mountain biking.